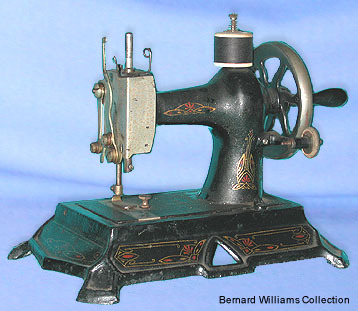 Toy sewing machine - Muller No.25. Produced for a short period around the mid 1920s, the Muller No.25 was this company's attempt to market a quality lockstitch miniature. However, the design had weaknesses, and the machine was quickly dropped in favour of a simpler chain stitch version - the No.19.